this dispatch is gonna be All Over Da Place. put your seatbelt on this minute! first let us dip low over the water and glide under the sherbet colored sky. here we are. on my last night at the pine beach inn– situated in between fort bragg and mendocino. don’t say i didn’t warn you it was a BUDGET motel. it’s on the ocean side of the road on 11 acres and has that charming path to the private little cove i wrote about previously. in order to have this view you’ll have to be in room 53 or higher on the 2nd floor. the room was worn and rather spartan, but my bed was heavenly. this isn’t the ritz carlton. or even the holiday inn express so check your high expectations at the door. yesterday i walked at the huntington gardens where i hadn’t been since early june. this is the only picture i took because i was hot and had to keep walking through the sprinklers to cool off. no, i am not adjusting to the high temps well after spending 3 weeks of summer in my perfect temp zone of 55-65 degrees. but i’ll get there by and by. now to change the subject completely…witness the back of my BAVARIAN travel journal. i collected stickers along the way. the portrait of ludwig makes me laugh everytime i look at it because it looks like sister! dontcha think? just a little? i ran out of room on the back cover so moved inside… i like to write in my travel journal for 1 day prior and after so i remember what was happening around the time of my visit. zip! back to a walk on the mendo headlands on an early morn last week. i sing the song of the open path. on which i can place one foot before the other. stopping often to watch seabirds. and look for windows in the rock. great sea caves tunnel under the headlands. where blowholes have been formed. in the light and fog everything is possible. the path turns close to the edge and suddenly there is a bridge. to be alone in such a place is divine. where was i in the travel journal? oh yeah, here we are. out of order of course! but you don’t mind. after being gone so much i am slowly coming home to moss cottage. savoring these final weeks before i have to return to the thing called work. the place where you have to report in daily and check things off long to-do lists. 5 more years. i am determined to be a free bird by the time i’m 60. even if it means i will have to become thrifty for a time. my entrepreneurial brain shuts down when i’m in school. nowadays it needs long periods of time stretched out before me to engage and create. retiring early will give me the time i need in the idea factory. don’t mind me. just thinking aloud about retirement. i don’t know where i’ll land, but this place looks good. monte rio. way out in the boondocks. but close to river, forest, sea. i want to start a california woman’s commune in the forest or at the sea. except we will all live in our own cottages or trailers or urts or mansions. the ones in the mansions can host tea parties and gettogethers. the ones in the urts can host bonfire nights. a diverse group of women folk. a starting-over new-life place. no dogma or catma. no gurus or chiefs. happy sunday friends. hope you’re doing something that makes you feel good today. i’m off to make a blueberry smoothie and put a pot of beans in the instant pot. if you have retirement thoughts of your own do share. i love to know what others are planning, dreaming, thinking about. Ok. Count me in for the commune! Introverts unite; I’ll take a cottage, thank you. And when I need a dose of “warm” I’ll slip down to Naples. Everyone’s welcome. Separately. I’ve not posted a comment for ages but had to comment about Introverts Unite. separately. in your own homes. You have no idea how appealing that is to this old gal. I’d take the cottage, be the one who might ring 2 bells inviting those who might want a cuppa tea. I’ll set the pot outside on the porch, just come help yourself & take the cup home. 55-65 is the ideal temp for me. I say that as I sit here in the A/C with outdoor shade temps of 112F! It’s not fit for humans or animals. Retire as soon as you possibly can, near the ocean somewhere where you can hang out with the fog & mists while you dabble in your sketchbooks. Your musings made me chuckle Mary Ann. Hughie and I used to visit you when you first moved into your home. It was so cute. Glad to see you are doing well. I loved ‘doing art day’ with you. I would bring my rubber stamps and the kids would slap them down on paper! LOL. I remember you telling them “No hearts or smiley faces”. We made decorated cigar boxes. Good times. Be well my art friend! Retirement…it’s so far away I can’t even think about it. Right now we are looking for a house. It’s not fun. One would think house-hunting is fun but it is very stressful for me. We need to get away from a Lunatic Neighbor. I’m afraid to own a house on one income. You must be very brave to have bought Moss Cottage. Sometimes I wish I could just have a little flat all to myself. It’s been raining buckets here and muggy. Flash floods throughout Pa. Not in my town, though. We do have a river to floods every so often so I hope nothing bad happens. thank goodness i bought moss cottage when i did 16 years ago. would NEVER be able to afford it now. prices have skyrocketed beyond what is reasonable. fires here but not by me thankfully. Introverts unite – raising my hand too. 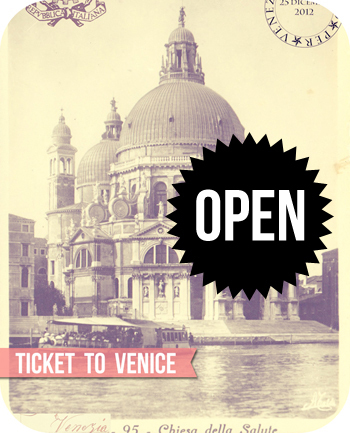 a scandinavian division of our womens’ art colony/camp/commune will be perfect. we can swap homes 2x/year with our scandie sisters. absolutely! Ok, I am ready to join the commune too. I cannot wait. 5 years left for me with teaching if I retire early and oh yes I want to. So much to do. Maybe I can bring all my beloved books and we can have a library yurt. This sounds like such a wonderful plan. I love your posts! I have just come back to Brisbane from a 3 week trip to Uk.my brother decided at 50 to my the love of his life.It was a great trip .then took at least a week for all of my brain to arrive back.now I am energised to garden..passionfruit vine all over the place. Garden beds over run.today may have to be time for painting..but feel the garden calling..making the most of the cooler weather here.love the misty pics of the coastline.beautiful.also your accounts of accomodation.I could write a book on uk showers cataloguing their eccentricities. a journal entry from 15 or so years ago says that in my old age i wished to live a stripped down life, alone, with art supplies and not much else. not much has changed. don’t know what i would do without all my old-lady tchotchkes, though. they do bring me such joy! old lady tchotchkes are prerequisites of acceptance into art clan/commune/camp! must have at least 1. I am dreaming of retiring from teaching in the next seven years (hopefully). I do really enjoy my job and the kids, but it certainly seems like that to-do list and the stress never go away. My dream is to retire to the mid to northern coast of Maine someplace quiet, but I definitely would consider joining your commune, especially if it is located near the ocean! oh it must be near the ocean – absolutely! it’s not so much the JOB, itself as the amount of time it takes away from my creative life. we need that time! Hey Mary Ann – at the same place as you re retirement. Ready to go there but want to make sure I have some plans. A retreat in the forest or ocean sounds great to me – can I get a yurt? The idea of not having to answer to anyone else seems real sweet right now. Getting up, getting dressed for the commute in – who needs it. Put me on the list for the commune – I’m coming! Introverts unite, indeed! I wonder what makes one into an introvert? In my case it was a very disruptive childhood, which involved (up to this point) moving about 45 times. I counted. I didn’t have time to make friendships that would last. As soon as I made friends, we moved. So, though I became very good at making friends quickly, I also became used to giving them up. Now, I prefer to do things alone, but I don’t really feel alone. I prefer it. I LIKE being alone. My kids worry about me, but they needn’t. I like being able to choose when I spend time with people, and for how long. Sounds stuck up I suppose, but life forged this weirdo. I’m good. So, what do you think it is that makes certain people crave aloneness? The commune does sound very attractive, as long as we get to escape to our own abodes without explanation. I was wondering…is your normal body temp low? Because mine is, and I get hot very easily. And get this…I am O-negative and that is supposed to make your temp a bit lower. And also, I have learned from YouTube, that I might also be an alien or from some master race. And that the government might be plotting against RH negatives😳. The things you “learn” from the internet. Well, like you, I just love the cool ocean breezes and temps that other people find chilly. Sleeping with a fan directly on me is divine. I totally get the whole overheating thing. The photos of the caves and beaches are just Calgon take me away, stuff. 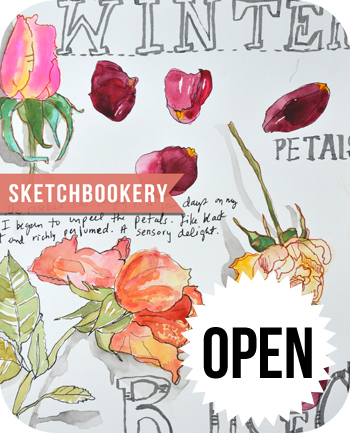 Well, and you know I (we) never get tired of your delightful journal pages. Ain’t sayin’ nothin about the Carol vs Ludwig resemblance. Nope Nope Nope…only sisters get to make such observations. I wish I could tell of all of my adventures, but unfortunately, there are none. I cut down some willow around my pond today to donate to one lady that does deer rehab (mainly orphaned fawns) and for another one who does beaver rehab? They wanted forage for them, things that they will eat once they are released. ‘Bout killed myself cutting that willow. Back at it tomorrow. It’s a two-fer, because my young mallards are just learning to fly and the willows were blocking their landings. It will make it so they don’t crash while they get the hang of the landing. Supposed to be in the 90’s in Seattle this week😬. TOO HOT! Looking forward to more Miss Moss Missives! one may join the womens’ art camp/commune and need never make an appearance at any public gatherings! we will have a series of chimes or bells and you need only ring it once per day so we know you are alive and well. 1 ring means you’re alive and occupied. 2 rings means you’re alive and accepting visitors. i think an app would be best for this as each of our dwellings will be located on 2.5 acres. i’m working on it! Love the introverts unite!! I remember the Pine Beach Inn-we stayed there about 45 years ago and it wasn’t fancy then-shag rugs and all-with our two kids and they had a ball there, playing in the sand and building roadways….we have great memories of that place and last fall when we were up that way, we passed by, and said, “Look! Look”! The house in Monte Rio looks wonderful and what a region that is-close to so much that you like. I don’t know if you care to give workshops at home, but that house would be suitable. I like doing workshops at home and am done renting places for that kind of thing. The commune is a success waiting to happen-mansions, yurts, cottages-I’ll take a cottage, myself….it will be awesome! You are smart to retire early-I believe that all you will ever need will show up, whether resources, allies or money for projects that may be on the horizon for you. May ALL you dreams come true…and then some! oh that is soooooo cool – that you stayed at the PBI oh so long ago. there were these giant lamps on the nightstands that looked like they were 45 years old! Have enjoyed following along on you and sis in Bavaria. I just retired in May at 64, should have been earlier, but I’m off for two months in the UK with my sister and a cruise to Norway and the Fjords. You’ve got to do it while you can. Will Blog about it and will write a journal. thrilling! you will swell with happiness when you’re floating down the fjords. i look forward to reading about your adventures! I don’t think I look like king Ludwig, but Chris says he can see the resemblance… “mostly in the eyes”. well, let’s not forget, it’s also in the ludwig jacket and sash you like to prance around in! How did you like this journal paper. Can you paint, write, stamp and glue? some menfolk skilled in the art of manual labor and handymannery will be necessary for those of us who are clueless in such matters. i LOVED this journal paper v.v. much! pls excuse the extra ‘and.’ Chalk it up to my heightened excitement at the very idea…. sold to the highest bidder! you win! Thank you for the gift of a Sunday post. I just returned home from a “Coffee with the Curator” talk with David Martin at the Cascadia Art Museum in my little town by Puget Sound. It was all about two amazing local women artists from the twentieth century, Yvonne Twining umber and Blanche Morgan Losey. David is a gifted speaker. He tells these wonderful stories of the lives of artists, full of detail and a little gossip-y, which add so much to viewing their work. I love to go to his “coffees” and look forward to them. I am planning on a trip to the Shetland Islands next year with two dear friends. We will attend a workshop with the wonderful Traveling Bookbinder, Rachel Hazell. It’s such fun to plan a trip with people you love to spend time with and who are known great travelers. We just rub along so well together and have the same tastes, interests and share a deep curiosity of the world. Besides, we all get tired and want a coffee/tea break about the same time, too! What more could you ask for in travel companions? 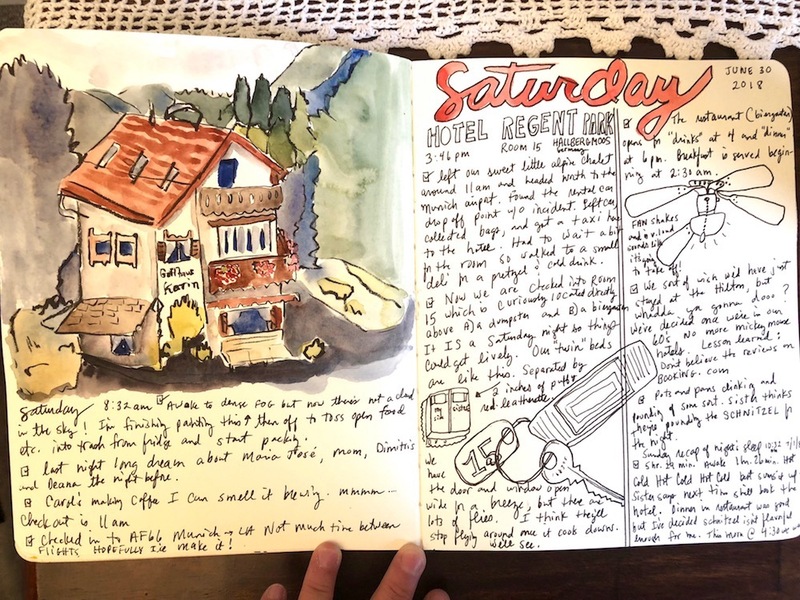 Your Bavarian travel journal is another gem and is so inspiring. I have to cobble together a travel journal in the next few days for my annual visit to Nantucket to hang out with my bestie and looking at your sketches and watercolors just reaffirms my determination to do more sketching and painting in my journals from now on. Thanks for the gentle nudge. you’re forever doing the most interesting things with the most interesting peeps. shetland islands…huh?! rachel hazel!!!! how thrilling for you! up in the northern cali coast there are v. few homo sapiens traipsing along the headland trails… thankfully! Of course you would check out the neighborhood before you bought something in Sonoma County. There have been several articles in the local newspaper, The Press Democrat (pressdemo.com) about the parking issues, if you are anywhere near an access point to the Russian River. Not enough parking for locals who live there, much less visitors who come from away and want a place to park, trash being strewn, etc. Just an FYI that there are always local angles to consider when buying a home. So I hope you got told the story about the Bavarian king and the mystery surrounding his death???? He may have been, you know, done away with ….. He was mad, some people said (probably completely untrue) and then … well we shall never know. One day he went out to the lake for a walk with his doctor and the rest is history. But let’s just say that his body was found in very shallow water, not exactly good drowning conditions …..
oh yes we enjoyed reading the mysterious circumstances of his (and his doctor’s) strange death. his life was also plenty interesting! “introverts unite. separately. in your own homes.” is HYSTERICAL! some genius thought that one up!